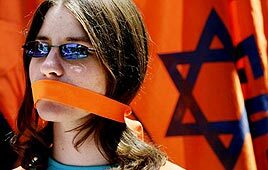 Today is supposed to be the marching demonstration against Ariel Sharon's Unilateral Disengagement (Jewish Expulsion) plan. However, Sharon is so scared, so weak, that he will stop at nothing to prevent the anti-disengagement movement from marching and expressing their opinions. The Likud membership (Sharon's own party) voted overwhelmingly against the plan. Sharon was elected on a platform AGAINST unilateral disengagment. Yet, instead of giving people an opportunity to express themselves against his policies, (i.e., new elections, a national referendum) he sends in the police to confiscate the driver's licenses of BUS DRIVERS, so they won't be able to bring the expected 75,000 - 100,000 demonstrators to the march. Over 1400 buses have been signed up so far, not including private cars and initiatives. There is currently a media-blockout on how many soldiers have already refused to take part in Sharon's plan...but its in the hundreds and growing daily. Its unfortunate that Sharon cares more about the disengagement plan, than the cohesiveness of the IDF , the unity of the country, and the minor details of those Jewish familes being evicted from their homes. On a personal note, on my way to work this morning, I gave a mother and her 2 daughters a lift from a remote bus stop in the middle of the "West Bank." She said she wouldn't be going to demonstrate this evening, because there's a memorial service at her settlement this evening for a family that was murdered 2 years ago. A few minutes later, I also learned that her husband was also murdered a year ago in another terrorist attack. When I looked at her 2 young daughters in the back seat I wondered how the IDF soliders and police will feel about evicting widows and orphans from their homes in Gush Katif. How will they evict the young Cohen children in Netzarim who are missing limbs from Muhamad Dahlan's masterminded terror attack on a settler school bus 5 years ago. (The same Dahlan who is now America's favorite poster-boy Palestinian security chief in Gaza http://www.zoa.org/pressrel/20020212a.htm). These are not the IDF soldiers I want fighting alongside me against the enemy. Sharon has designated the anti-disengagement forces, as the enemy. That's why all the rockets are falling now on Israeli cities - he's got the enemy mixed up between Jews and Arab terrorists. There are currently 2 major smuggling operations going on in the Gaza Strip. 1. Jews trying to smuggle themselves in, along with water, camping supplies, and tents. 2. Palestinian terrorists smuggling bombs, weapons, and missles. Guess which concerns Ariel Sharon more? While you're trying to figure that out - here are today's pictures from the Palestinian missle attacks on civilian Jewish targets. Sharon has promised that the disengagement will not happen under fire. Why should we believe him when he says that AFTER the disengagement, everything will be peachy? This evening, Palestinian terrorists fired rockets from the Gaza Strip at an Israeli kibbutz "Netiv HaAsara." A 22 year old Israeli woman, was killed by the rocket's impact, when it crashed through the roof, killing her instantly. Israel's Channel One news service raced to the scene. Being the first ones to get video footage of the destroyed house, the camera crew rejoyced, toasting and drinking champagne in their news van, seconds after they filmed their prize winning video. 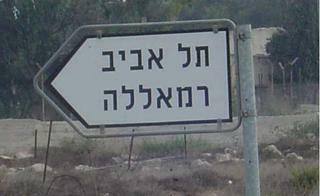 IDF soldiers turned the Jewish Gush Katif bloc into a Ghetto. Israeli Film crews toasting champagne after filming the bombed out house of an Israeli, murdered minutes before. I know, I know - everyone's just following orders. (c) All rights reserved on pictures to Rachel Zelinger Maor. a. Each of us should select a location outside his home where he will struggle. This is no time for faxes and certainly not for mere emails. One must be out "in the field" not in your living room. If you can come to the Gush -- that's best. If you can lie on the road leading to the Gush -- great. If you can stand at a junction or bus or train station daily -- that's good too. If you live in the Shomron, set up a new maachaz. b. It is hard to stand by oneself. Therefore, look for at least one partner -- your spouse, or friend or neighbor, or child or parent. Don't wait for some organizer to do this for you. All the organizers are on their way to the Gush. Once you and your partner have decided what your activity is going to be, tell everyone you know about it and invite them. Who knows -- one or more of them may surprise you and decide to join the fun. c. Do not wait for some organizer to bring you equipment. You know where those organizers are -- in the Gush, or in jail, or.... Please simply make or buy your own. d. There is info on various websites, use it. f. From now on, for the next month or two, ALL your spare time should please be devoted to this struggle. Please put everything else aside including non-urgent Eretz Yisrael matters and certainly including your personal life. Sorry for imposing, but this is important. g. Kindly pass these recommendations on. Ariel Sharon can now rest easy at night, now that Germanyopenly suportes his expulsion plan. At a meeting yesterday (Wednesday) with Prime Minister Ariel Sharon, German Foreign Minister Joschka declared, "This attack [Netanaya Mall bombing] proves the importance of implementing disengagement and the road map." Who else supports the Expulsion? give Ariel Sharon a round of applause. Sharon - you make Israel's enemies proud! Sharon wants to secure his place in history, and realize the dream of Ben-Gurion; to be a nation like all the rest. Join the rest of the planet in expelling Jews from their homes. All dates are in the Common Era. 78). 1938-45, Nazi Controlled Areas; 79). 1948, Arab Countries. Fleeing Gaza - Crime Pays. Remember the slogan - crime doesn't pay? Not in Israel. Terrorists lob over 6000 mortar shells at Jewish civilians, and what happens? Sharon wants to evict the Jews and give the land to...the terrorists. And here's a flash movie about the soldier last week that couldn't participate in evicting Jews from their homes. Disengagement? Not in my land! Drama in Israel… Suspicions that PM Sharon's Gaza pullout plan, which radically contradicts his previous world-view, was concocted to evade corruption charges, were aired months ago by Israel's former Deputy Education Minister Zvi Hendel, a Gush Katif resident. However, these suspicions were recently confirmed by two top-notch Israeli reporters. The bombshell was dropped on the Israeli public in a prime-time Israeli TV talk show and aired 15 June. Here is a link to the relevant item in the TV show. You will see and hear the two reporters, Raviv Druker (Israel Channel 10 TV) and Ofer Shelach (Yediot Ahronot, Israel's largest daily) being hosted by veteran TV host Nissim Mishal. The two excitedly summarize evidence published in their recent book, according to which the Sharon's disengagement plan was concocted for no better reason than evasion of devastating corruption charges. …”And who is the army general that Sharon tried to plant inside the General Staff? The decisions on the disengagement plan were made with top army officers deliberately being left out of the loop, and without the participation of the ministers and cabinet. The evacuation plan was born because Sharon was sure that then-State Prosecutor Edna Arbel would indict him. Sharon proposed to one of the army's top generals that he be a "plant" and report to him on the goings-on in the General Staff. You know, Sharon is perceived by the public as determined, strong. But your book presents a completely different image – of someone pretty scared of police interrogations and led by the nose by what is known as the "Ranch Forum" and [top aide] Duby Weissglas. Raviv. We too were surprised by what we found. One government minister told us, "This is the weakest Prime Minister I have seen, and I have seen many Prime Ministers." Weissglas pushed forward the disengagement. Weissglas is the father of the disengagement. Was Sharon just a puppet? Sharon wanted only to survive politically. And I'll give you a real-life example. In October 2003, before the disengagement plan started, before we knew anything, before the speech and everything, Weissglas instructed staffers in the prime minister's office: Give me data on Gaza because I think we should withdraw from Gaza. Sharon was still opposed to it then – but he came around later. Weissglas also started pressuring [Defense Minister] Mofaz at this time, to support the plan because of the close ties between the two of them. But more than anything - Weissglas felt that he had the right key to persuade Sharon. He sells him the right narrative – how to convince him. When Sharon arrived in office, he didn't know what to do. We describe a prime minister who – like people say of him, is great at tactics, very astute politically, but has no strategy and he doesn't know what to do – neither on the personal level with the pressure being exerted on him, nor on the national level. Don't forget: After two years in office, he finds himself – the great terror-fighter, Arik Sharon – with the largest number of terror victims ever – and during his term. And Weisglass – together with the Ranch Forum, but mainly Weisglass – takes advantage of this to lead Sharon [by the nose]... but it's not only the process Raviv described. In December '03, after Sharon's Herzliya speech introducing the disengagement, when the plan was still very vague – in fact, Sharon was still asking the Chief of Staff and the Defense Minister what they thought about evacuating just one or two communities – Weissglas goes to Washington all by himself and meets with then-U.S. National Security Advisor Condoleeza Rice, privately – without his Military Secretary Moshe Kaplinsky or National Security Advisor Giora Eiland, who usually accompany him. 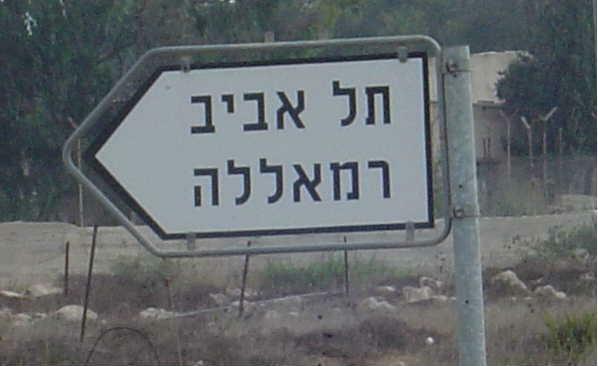 Very senior army officials have told us that this was the trip in which Weissglas made the following offer: In the first stage, we will quit Gaza, in the second stage there will be a deep withdrawal from Judea and Samaria, and in the third stage, we will even be willing to talk about the '67 borders. The important thing is that from that moment, there is no contact with those people who were supposed to help Sharon decide about the plan, figure out what Israel would get in return, and help Israel get the best possible deal. And from that moment, the plan essentially rolls along on its own. To what extent, Ofer, did the police investigations, the fear of the investigations, (State Prosecutor) Edna Arbel in the background, and his fear of being indicted, influence this historic decision regarding the disengagement? The people who are closest to Sharon told us absolutely that if not for the police interrogations, the decision [to quit Gaza] would not have been made. This can be seen by the timetable of events and the decisions made in February '04. At the time when the system – Giora Eiland, who was appointed by the prime minister to work on the plan – is working to save something, to try to get something in return for the disengagement, Menny Mazuz is appointed Attorney General. Edna Arbel is still in the picture, and Sharon is convinced that she won't end her term before indicting him, and then something very interesting happens. That Edna Arbel wants to indict Sharon. Yes. And then the Ranch Forum convenes, and it is not explicitly stated, but there is an atmosphere in the background that there has to be a dramatic diplomatic move that will overshadow everything else, that will change the national agenda. So they decide to come out with a major diplomatic step – and this is the major diplomatic step. Giora Eiland, who is supposed to prepare the plan, reads about it on his computer screen, at a time when he is preparing an entirely different plan, one in which Israel will receive something in return. And that is the reason Eiland opposes this plan. And now a riddle that you present in the book. You write about a certain army general that the prime minister tried to "plant" in the General Staff, so that he would report to him – a mole for the prime minister in the General Staff. Who is he? Who is the general? We can't say who it is. All along, Sharon was very unhappy with the army, and constantly tried to create direct channels of communication , and most of the time succeeded. He is in such a senior position that he can report to him? Yes. "You will tell me what is going on there in the discussions in the General Staff." Ariel Sharon was very unhappy with the army. You are not willing to divulge the name? No, we won't reveal who it is. Can you write his name for me on a note? Do you know how to read upside down? But if you say 'note,' listen to something interesting. We relate in the book – the book talks about all the 4.5 years of the second intifada. We tell the full story of the non-extension of Bugy Yaalon's term as Chief of Staff. And wonder of wonders, a note is involved here too. Ariel Sharon – in the most blatant way that a prime minister has ever done – interferes in appointments including the appointment of his military secretary. He demands to see the files of the candidates – and by the way, the prime minister has no say whatsoever in this appointment, and Yaalon comes with the files to show him the candidates, and all does is write down the names on a note and put it in his pocket, and two days later, Yaalon starts to hear from Defense Minister Mofaz: "This one is unacceptable," "The prime minister's office says this one is out, and why don't to propose this one?" And the defense minister distances himself from the process – and incidentally, another amusing detail: In the prime minister's office, they nicknamed Mofaz the "operations officer" – because follows orders. All the top defense officials, although most are against the plan – fall into line with the prime minister? The most outstanding example, once again, is Mofaz, who beforehand said: "Whoever supports a unilateral retreat apparently hasn't been here for the last two and a half years ." But there are others that were less noticed. A few months before adoption of the disengagement plan, there was a debate among the top brass of the IDF in the presence of the Chief of Staff. Many options were presented. One of the options was unilateral disengagement from Gaza. There was unanimous agreement regarding the idea: Absolutely no. We are making a very serious claim: In the past four and a half years, there have been many opportunities to end or change the course of the intifada, but because of the decision-making process, these opportunities were missed, and the bottom line – it's terrible to say – is that many people were killed [by terrorists] in vain."